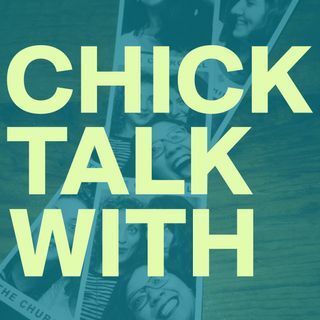 This episode is Chick Talk With...AJ, David, and Emmy! The Chicks discuss long lasting friendships with their long time BFFs. We get to hear stories about Emma and Emmy's 25 year friendship (apparently Emma wasn't the best influence, according to Mr. Guerrero), teenage Wendy and Alina (who dared Wendy to drink a mystery liquid out of a beaker in Mr. Jolly's class), and preteen David and AJ, the Chicks male friends that met in 6th grade baseball (David was their...special ... Más informaciones player. AJ was the star). Then the Chicks, Emmy, David, and AJ battle it out to see who know's their BFF the best with a game of the Newlyweds, Best Friend Edition! Produced by Wendy, Emma, and Alina. Music by Sheena Wenger Birrittella. Mastered by Marcin Nowak.